When one thinks of the word “functional capacity”, then what comes to mind is the level of competency that one is able to bring when performing different tasks and services. Knowing one’s level of performance is essential for just about every employer for when they need to hire people for different positions. 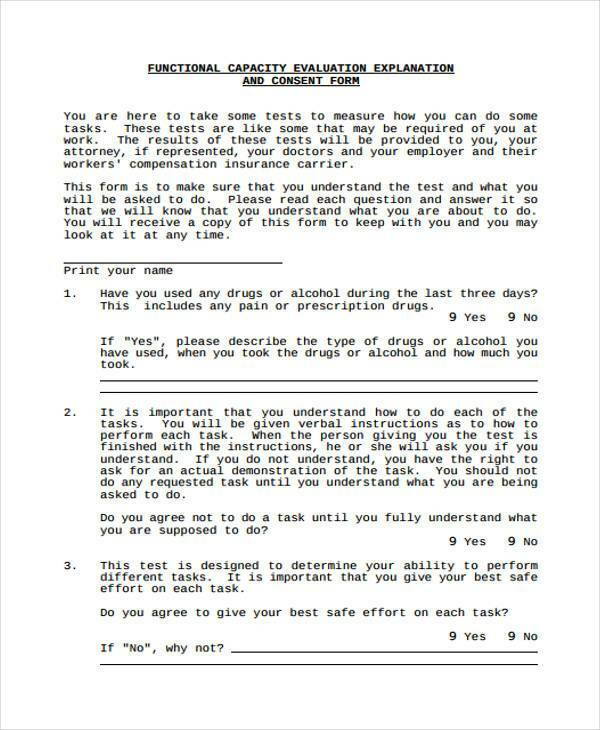 This is why companies administer tests to determine the functional capacity of applicants before they are considered for hire. After these tests are concluded, the results must be evaluated. 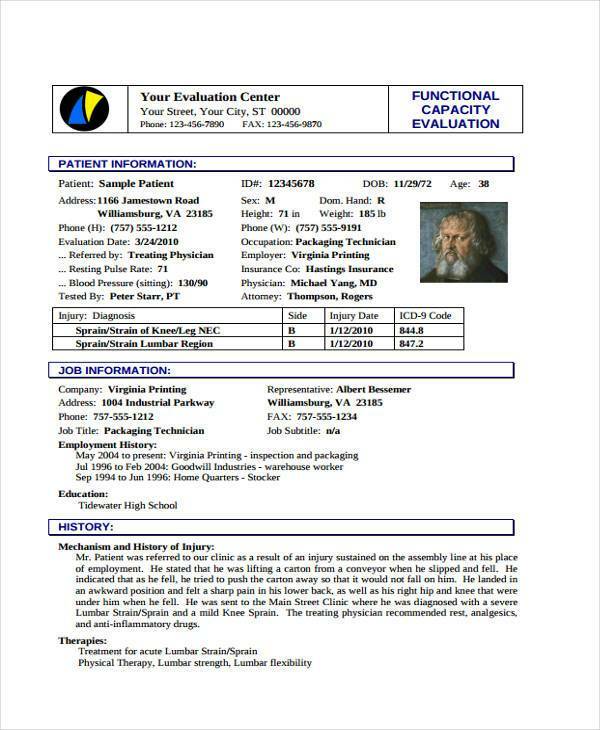 And to properly record and look into these results, there are Functional Capacity Evaluation Forms that guarantee the level of skill certain applicants bring. 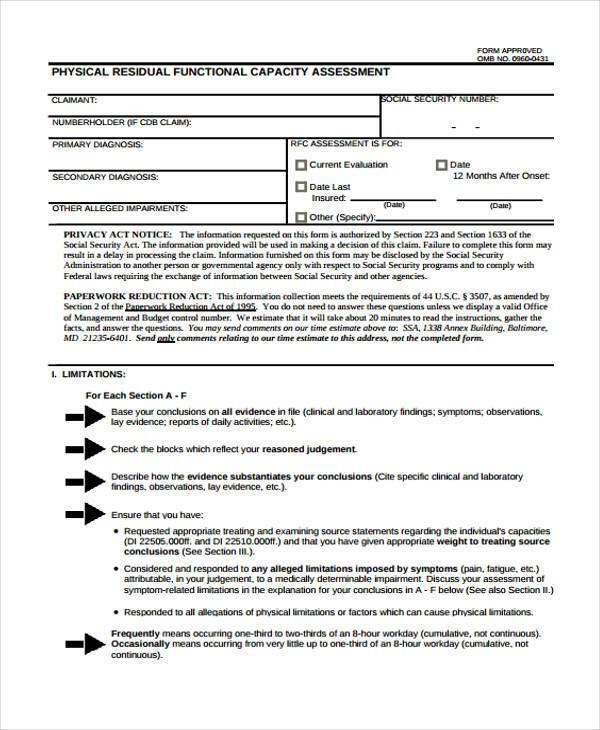 Functional Capacity Training Evaluation Forms are made use of by companies or organizations for when they need to put certain applicants or even employees through training the develops their functional capacity. These forms evaluate if these people are showing signs of growth in terms of skill and technique, or if they are not capable of handling the training as well as the position that they are training for. 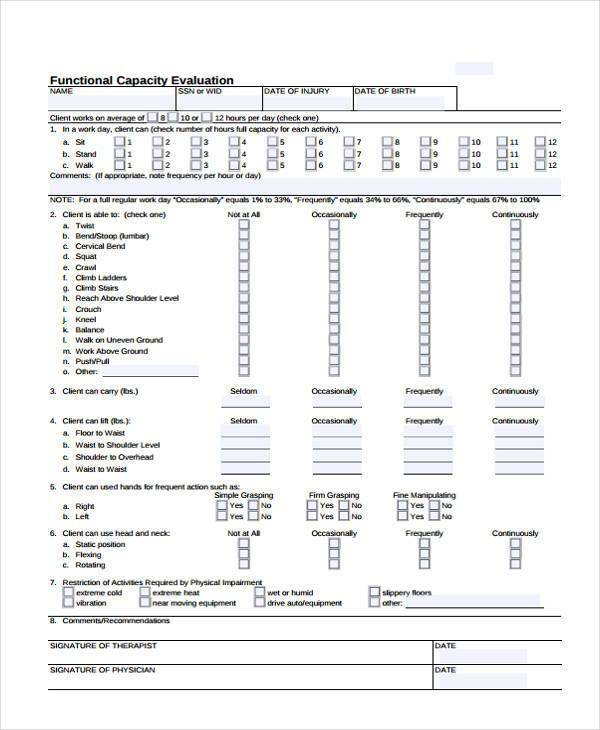 Army Functional Capacity Evaluation Forms are mainly used by military organizations to follow up on new recruits that wish to take up service. These allow those in charge to check on all the factors that contributes to how well these people are able to handle certain military duties and responsibilities. 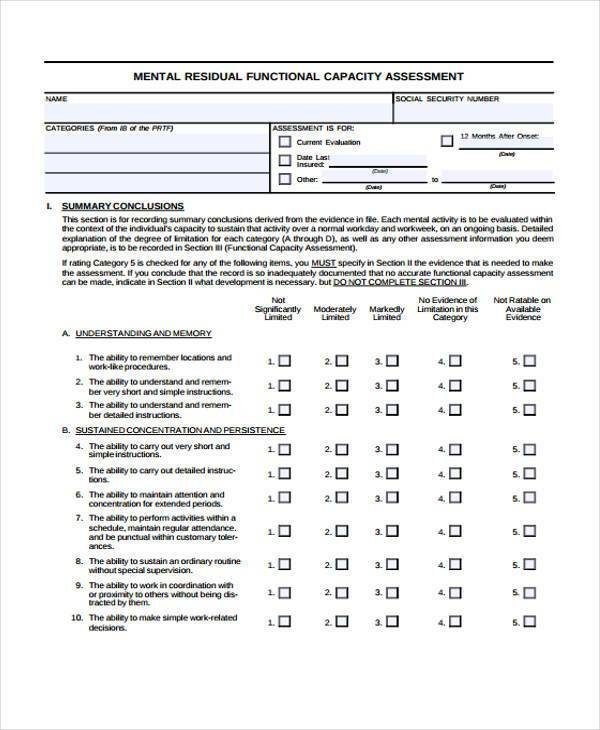 Mental Functional Capacity Evaluation Forms are used to test people and record the results of their mental functions. This is to see if one is able to handle certain activities in the event that these people do have a mental problem. Companies that hire employees need to make sure that they’re able to perform even the most simplest of tasks. 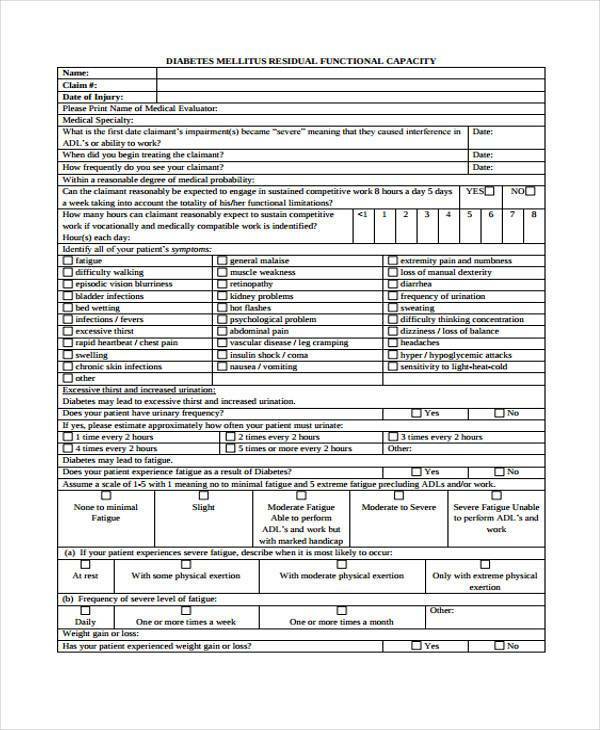 Which is why there are Functional Capacity Performance Evaluation Forms ensure employers that they’re hiring applicants who might be capable enough to become an asset to the business. These evaluations can allow people to understand the skills that they need to develop. It gives these people plenty of opportunity to look into what they need to improve on, as well their strengths. 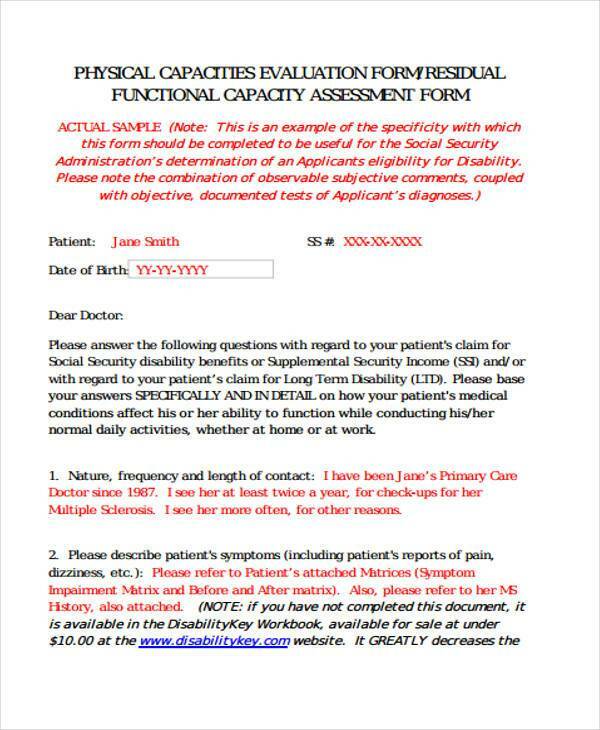 These evaluations may even uncover conditions that the applicant may not even know about. This prevents the applicant from carrying out certain services that may endanger their physical and mental health. By providing these evaluations, businesses are guaranteed that they take on employees that they know can handle all the responsibilities that a certain position requires. 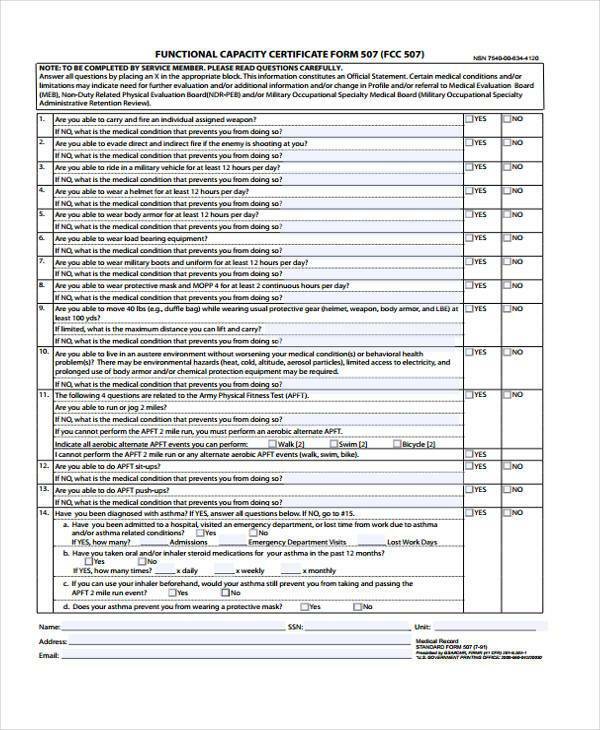 These forms may also be used to evaluate the current skill level of current employees within any business. These may show that a certain worker might be able to handle much more difficult tasks, promoting them in the process.